Designed for a healthy indoor climate. 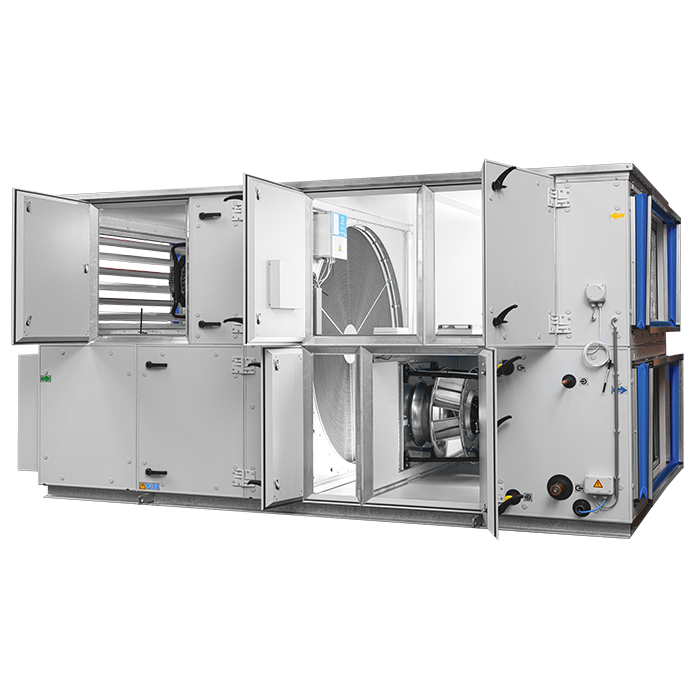 The Ned Air RotorLine is a new series of air handling units with rotary heat exchangers for air volumes from 2.400 up to 44.000 m3/h. The high sensible and latent efficiency of the thermal wheel results in considerable energy-savings. The Ned Air RotorLine units are Plug & Play, and can be applied in offices, public buildings and more. 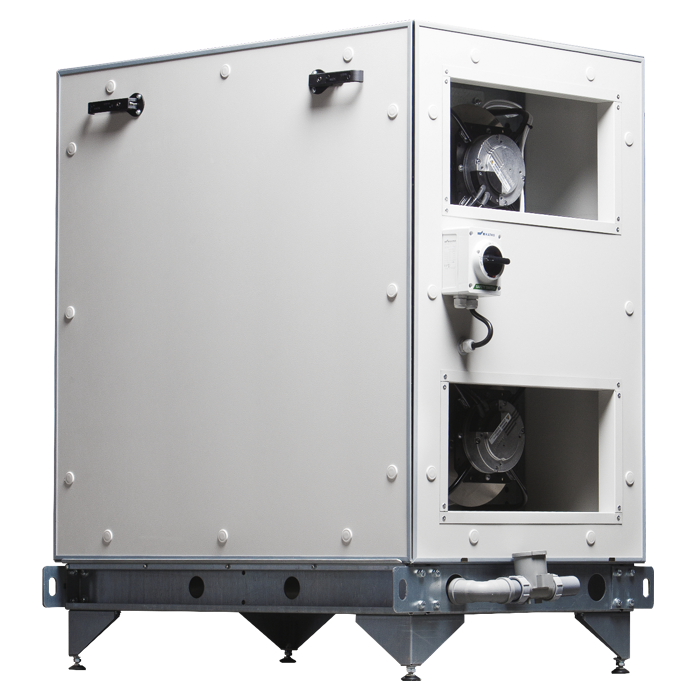 Are you looking for a heat recovery unit with a thermal wheel for greater air volumes than 44.000 m3/h? Then please contact our sales department. Our salesmen can offer you a customized solution. 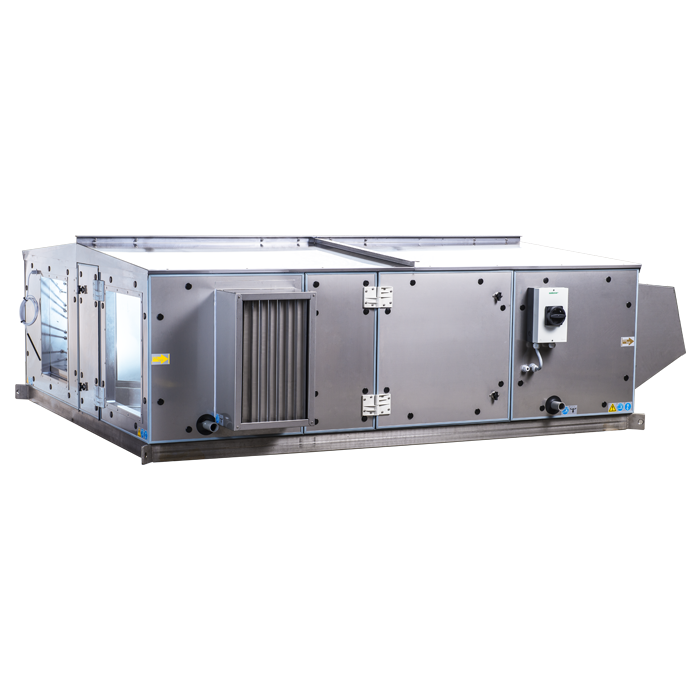 The most compact heat recovery unit. The most suitable air technical solution for your situation.